A monarch butterfly feeds on common milkweed. Nothing adds interest to a garden like an ever-changing display of butterflies—except for discovering that their storybook life cycle is playing out amidst your own passionflower and milkweed. Attracting the insects to feed as well as reproduce is “all about selecting the right plants,” notes Kyle Baumis, the butterfly curator at Cypress Gardens, which celebrates its grand reopening on April 13. But throwing in some extra amenities doesn’t hurt. Here, Baumis shares his tips for designing a pollinator paradise. Aim to create a dedicated butterfly garden within a sunny area of your landscape that’s protected from high winds. Depending on the size of the space, you might select three to seven plant species, arranging them in groupings of at least three plants each. “This will help catch the butterflies’ attention,” Baumis explains. First, let’s talk nectar plants—the ones that’ll feed the butterflies. A wide variety will do the trick, but Baumis points to three all-stars. 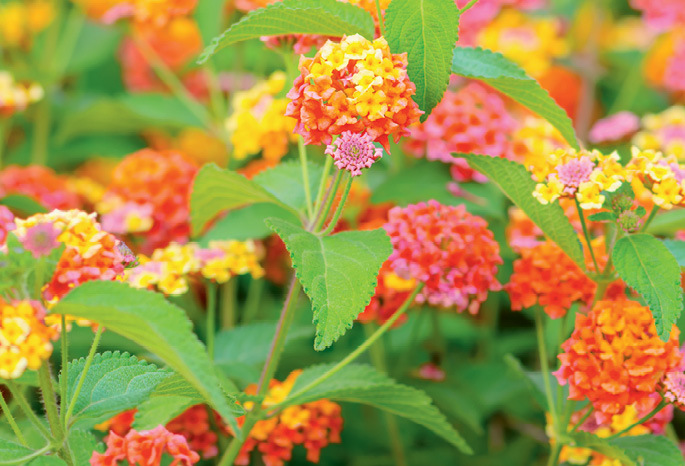 Lantana, available in a rainbow of colors, will bloom profusely from spring through the first frost. Low-growing coreopsis is also prolific, serving up a multitude of small yellow flowers. And then there’s the queen of the butterfly garden: milkweed. All varieties—from the rosy-hued common milkweed to hot-orange butterfly weed—“feed a range of species,” says Baumis. Yet they also make up the sole family of host plants used by monarchs. “Butterflies only deposit their tiny eggs on leaves that their larvae, or caterpillars, will eat,” explains Baumis. And each species’s menu is surprisingly slim. 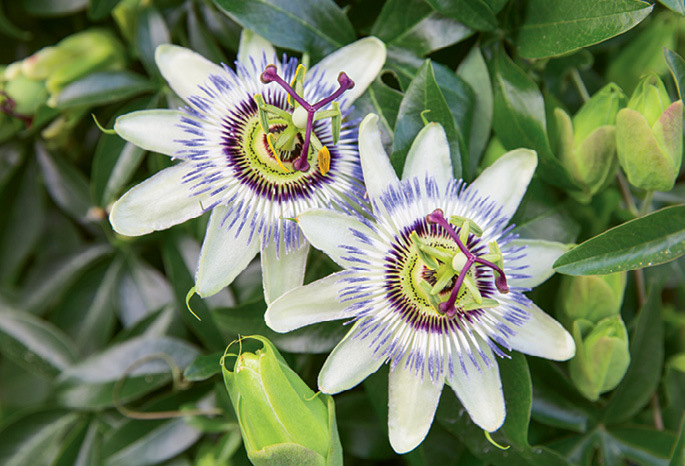 Purple passionflower, a vine that boasts striking blooms, is a favorite among zebra longwings, while the perennial herb rue “is fantastic at attracting black swallowtails,” he says. Find more host and nectar plants at hgic.clemson.edu, and note that pesticides should never be deployed in the butterfly garden. Ever notice butterflies gathering at the edge of a puddle? They’re after minerals found in the damp ground. To offer similar nourishment, fill a shallow pan or dish with sand, then bury it so the rim is flush with the earth. Keep the pool wet (positioning it under a soaker hose or other water source helps). Sprinkle salt onto the sand occasionally, and, for a treat, serve overripe fruit. The cold-blooded insects also need places to sunbathe, notes Baumis. If your driveway catches a lot of rays, that’ll work, but why not nestle a few flat stones amidst their nectar plants for easy access? A female butterfly lays tiny eggs, usually only one per stem or leaf (either top or bottom). They may be round, oval, or cylindrical and vary in color from white to yellow to green to brown. As soon as three to five days later, a small caterpillar hatches. Immediately, it begins to chomp the leaves of the host plant, growing quickly. Within about two weeks, the caterpillar abandons the host plant, seeking out a hidden spot on a nearby stem or the underside of a leaf. 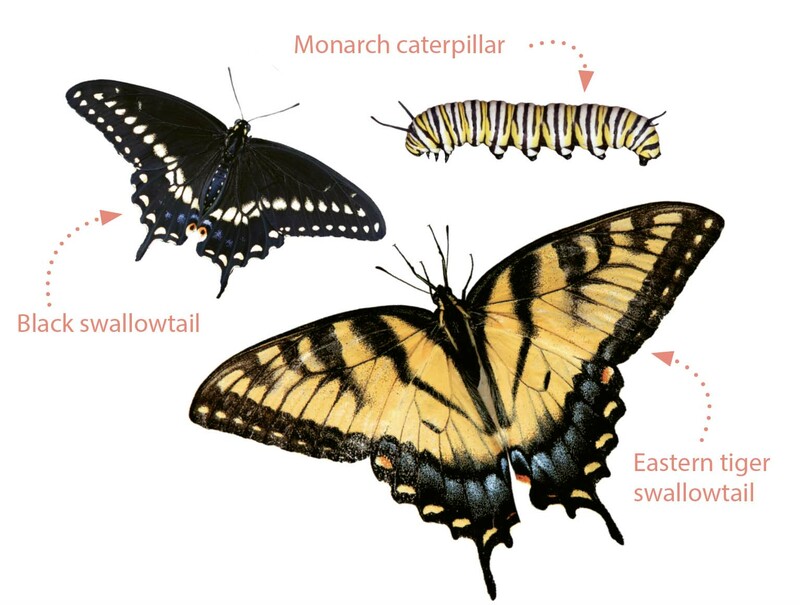 Here, it becomes a pupa, or chrysalis—the immobile vessel in which the caterpillar transforms into a butterfly. You’ll have to look hard for the often-green or -brown pupa, as it’s designed to be camouflaged. In 10 days or so, the butterfly is fully formed. You may notice the pupa darkening, or you might even be able to see the insect’s wings inside. Note that butterflies are likely to emerge in the morning. Their damp, crinkled wings must expand and dry before they take flight, so you may find them resting beside the discarded chrysalis for as long as a couple hours. Plant this magnolia hybrid for an elegant harbinger of spring. West Ashley: Backyard sanctuary from "rescue plants"
Budget Gardening: Finding and Cultivating "Rescue Plants"